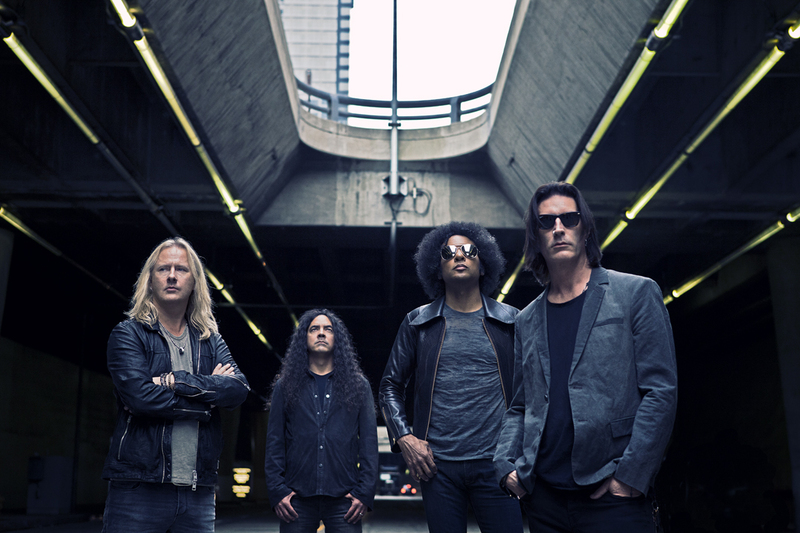 As they gear up for the spring release of their much-anticipated new album, multi-platinum rock band ALICE IN CHAINS have announced a North American tour set to kick off April 25th at the Fillmore in Miami Beach (see itinerary below). This past Thursday, the band teamed with VEVO to premiere the official companion clip for new track “Hollow.” Shot by award-winning director Roboshobo (Metallica, Mastodon, GreenDay), the hypnotically mind-trippy “Hollow” captures a man closed off and losing himself in an empty repetition of daily tasks until his last thread with reality is completely severed. The video can be seen at http://vevo.ly/U7WPDg and the song, which hit the top 10 on the iTunes Rock Chart, is available at http://t.co/HE12JnVT. The video follows the recent release of a “Hollow” lyric clip that was created by fans and comprised of images submitted through Instagram. 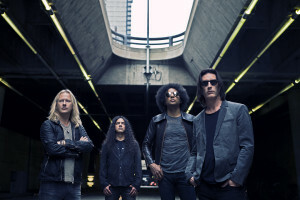 Set for a spring 2013 release, Alice In Chains’ upcoming album was recorded in Los Angeles with producer Nick Raskulinecz (FooFighters, Deftones), who also produced the band’s hugely successful 2009 release BLACK GIVES WAY TO BLUE. That album entered Billboard’s Top 200 at No. 5, sold over one million copies, spawned two No. 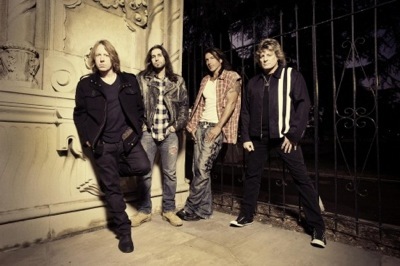 1 hit singles (“Check My Brain” and “Your Decision”) and a third (“Lesson Learned”) that went top 10, earned two Grammy nominations and saw the band (vocalist/guitarist Jerry Cantrell, vocalist/guitarist William DuVall, drummer Sean Kinney and bassist Mike Inez) headlining a sold-out international tour that wrapped at Madison Square Garden in New York City. Sun-May-12 St. Louis KPNT – Verizon Amph. BRIAN TICHY DISCUSSES LEAVING WHITESNAKE AND HIS NEW PROJECT S.U.N. Brian Tichy says he left Whitesnake because life’s too short to remain in someone else’s band, according to ClassicRockMagazine.com. He announced his departure last week, explaining he wanted to concentrate on new outfit S.U.N. with Sass Jordan. Now he’s gone into more detail. Tichy says: “The change of musicians in bands is nothing new. My idols left this band too. But I do think my reason is a little different than the others. “Life is short. Each year is a solid chunk of time to hopefully get closer to all the things you have thought of attempting to achieve throughout your whole life. 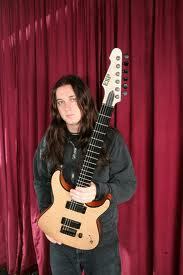 “I’ve always played guitar. I’ve always written music. I’ve always wanted to be in my band! I have a new band, S.U.N., that I am beyond proud of. Sass is also as passionate about music and our band as I am. “I’d like to think we made a record that will hold its own next to anything. How will I know if I am right or wrong if I just talk-talk-talk about it? I’ve got to live it – or else I might as well just call it ‘a cute little project I do if I have free time. Tichy records his gratitude to David Coverdale, saying: “I owe David a bit fat ‘thank you’ for allowing me to be myself in his band. The man simply told me to play how I play and make his band and its music sound like a kick-a-s rock’n’roll freight train. “He trusted me. He trusted that after having Paice, Powell, Dunbar, Aldridge and Frazier – some of the world’s best drummers – I could be the guy to get the job done. Tichy broke his collarbone in a mountain bike accident at the end of December, leading to surgery on January 1, from which he’s still recovering. He says that didn’t influence his decision to leave Whitesnake, although it did help him focus on whether his reasoning was right. He adds that lessons learned from Coverdale was one of the key factors in his decision: “I owe David thanks for clearly letting me see that if you want something, you better at least try to get it. I am going to try. Whitesnake bassist Michael Devin is also a member of S.U.N. but will remain with Coverdale’s outfit. Legendary heavy metal band BLACK SABBATH has set “13” as the title of its new album. The group’s first LP with Ozzy Osbourne since 1978 will be released in June via Vertigo/Universal Republic in the U.S. and Vertigo in all other territories. The drum tracks on the CD were laid down by RAGE AGAINST THE MACHINE sticksman Brad Wilk following original drummer Bill Ward’s decision to bow out of the reunion. In advance of the CD’s release, BLACK SABBATH will head to New Zealand, Australia and Japan for live performances. Additional tour plans will be revealed in the coming months. Ward in May 2012 announced again that he was declining to join his former bandmates for its scheduled 2012 dates, as well as the recording of a new album, due to a contractual dispute. He also allegedly had his lawyers direct SABBATH to remove him from photos of the band posted at the official BLACK SABBATH web site “so as to not give the public the wrong impression about his involvement in the current BLACK SABBATH lineup,” according to a statement issued by the band’s publicist. BLACK SABBATH took part in a photo shoot on November 30, 2012 with famed British photographer/artist Sam Taylor-Wood. LOS ANGELES, CA – Grammy-nominated rockers Anthrax – Scott Ian, Charlie Benante, Frank Bello and Joey Belladonna – have announced that Shadows Fall guitarist Jon Donais will step in for the departing Rob Caggiano. Donais will temporarily fill in for Anthrax’s upcoming tour dates in India, the series of Soundwave Festival shows in Australia, and the North American Metal Alliance Tour (dates below). T&N, the new band featuring former Dokken members George Lynch and Jeff Pilson along with Brian Tichy, have released a music video for the single Slave To The Empire. View it below. The song appears on T&N’s debut album Slave To The Empire, which was released on October 31st, 2012 through Rat Pak Records and can be purchased at www.ratpakrecordsamerica.com. T&N reunited George Lynch, Jeff Pilson and ‘Wild’ Mick Brown — aka ‘The Big Three’ from Dokken. Returning to their roots, Slave To The Empire offers eight new original songs and four re-recorded Dokken classics that feature sensational vocal performances by Tim ‘Ripper’ Owens (Judas Priest), Doug Pinnick (King’s X), Sebastian Bach (Skid Row), and Robert Mason (Warrant). Add to the mix the hard hitting, multi-talented drumming of Brian Tichy and you’ve got yourself a major dose of awesome. This 12 song release is progressive, it’s heavy, it’s dark, it’s bluesy, and each player’s performance is absolutely stellar. Slave To The Empire captures the spirit and magic from the classic metal genre, and is truly a work of art that will not disappoint. 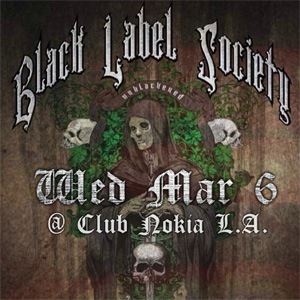 Black Label Society, fronted by guitar icon Zakk Wylde, have announced Unblackened, a one night only concert at Club Nokia in Los Angeles on Wednesday, March 6th at 9:00pm. The show will feature intimate versions of some of the band’s most popular songs, as well as songs from Wylde’s best-selling solo album Book of Shadows and Southern rock band Pride & Glory. The show will feature Wylde on guitar and piano, alongside the members of Black Label Society, as well as a four-piece string section, pedal steel, and special guests. The concert will be broadcast live exclusively on AXS TV. A CD/DVD will be released later this year. On August 10th, 2010 Black Label Society released their eighth studio album, Order Of The Black, which entered the Billboard 200 at No. 4. The release featured two singles, Parade Of The Dead and Crazy Horse. The band then released their ninth studio album, The Song Remains Not The Same, in May 2011, which was a compilation album featuring new, acoustic versions of songs originally released on Order Of The Black. The album reached No. 41 on the Billboard 200. In the two decades since Ozzy Osbourne hired him away from his job at a New Jersey gas station to become his new guitarist, Zakk Wylde has established himself as a guitar icon known and revered the world over, winning nearly every guitar award imaginable, and becoming a major influence on a new battalion of rock guitarists popular today. Writing and recording with Osbourne led to multi-platinum success, which inspired him to create the now legendary Black Label Society (BLS) in 1998. Black Label Society members include Zakk Wylde (lead guitar, lead vocals), Nick Cantanese (rhythm guitar), John DeServio (bass), and Chad Szeliga (drums). For more information on Black Label Society, please visit blacklabelsociety.com.